They’re City Saucery, a family owned and operated business making some of the best tomato based cooking sauces you’ve ever tasted. 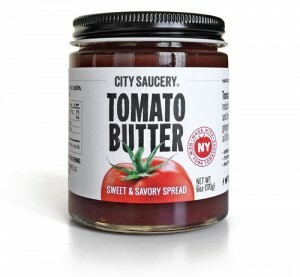 Using locally grown tomatoes along with herbs and ingredients from area farms, City Saucery produces some remarkably fresh sauces bursting with flavor. Consider their innovative Tomato Butter, pictured. We were given a jar of this spreadable deliciousness by a friend who travels to New York on business – we haven’t stopped raving about it! It’s made from a reduction of fresh tomatoes and local apples and combined with ginger, brown sugar, and spices. Described as a little sweet, a little tangy, and a lot delicious, Tomato Butter is perfect on warmed focaccia bread. For s special treat, spread some on a toasted or grilled burger bun … your taste buds will thank you! 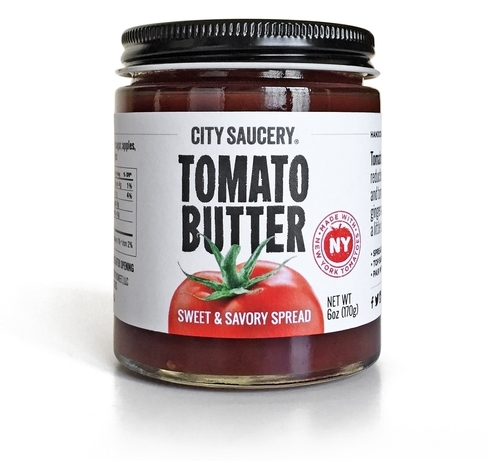 City Saucery also makes a line of sweet, smoky, and spicy tomato sauces as well as jarred sweet preserved summer tomatoes infused with fresh basil. If you or someone you know likes to cook Italian inspired dishes, these products will take them to a new level! 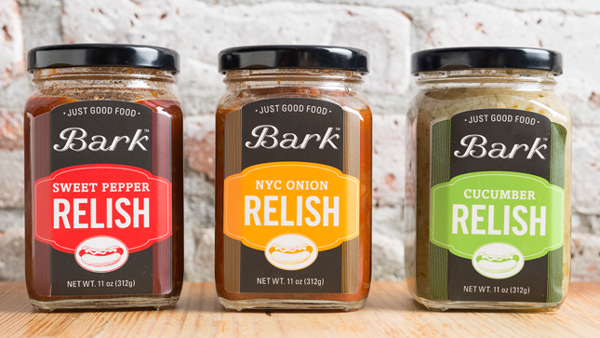 You can order any of these innovative sauces directly at their website – a sure to be appreciated gift from New York! Available at major retailers and their website BrothersAllNatural.com, their signature Fruit Crisps are made 100% freeze dried fruit with nothing else added. They come in 12 different flavors including a special Disney themed line that’ll appeal to youngsters. The company also makes Fruit Clusters and a hot breakfast cereal called Fruit & Oats, which combines two ingredients – freeze dried fruit and real oats. Hearty and delicious! Click through to their website to learn more about Brothers All Natural and to order or find where you can purchase their innovative products. Direct from Rochester, New York! Mike’s Hot Honey began in 2011 with locally harvested honey and a recipe of owner and founder Michael Kurtz. Michael learned of chili pepper infused honey while living abroad and honed his own unique recipe. While apprenticing at a local Brooklyn pizza parlor, he began experimenting with the honey atop the pizza, to rave reviews from customers. Michael began bottling the honey and soon a new business was born. Even if you don’t live in Brooklyn, you can purchase some of this unique honey directly at his website. It’s great basted on ribs, pairs wonderfully well with all kinds of cheese, and works perfectly with chicken and pork dishes. Bark Hot Dogs & Relish: There are lots of great hot dog joints in and around New York City … one of our new favorites is a place we discovered on Bleecker Street in Greenwich Village called Bark Hot Dogs. We’ve always been partial to hot dogs containing pork, and the beauties served here are made with a mix of pork and beef. They’re roasted on a griddle and then basted with Bark’s special butter mixture and wow are they good! As tasty as these dogs are with just a dab of mustard, they’re especially fantastic with one of the three Bark relishes, which you can buy online at their store, linked above. They make a Sweet Pepper Relish that’s similar to a chow chow, a Cucumber Relish that’s our favorite, and a NYC Onion Relish that also adds a nice touch to the burgers on their menu. In New York, one of the best and most well known is Nathan’s Famous, which has been a Coney Island people magnet since 1916. You’ve probably enjoyed their famous franks – they’re available in all 50 states and Nathan’s casual restaurants are located all over the world. But what you may not be aware of is their special blend mustard. It makes those great hot dogs something special! If you’ve got a Nathan’s Famous location near you, it’ll be served on your dogs. If not, you can now buy it online at the Nathan’s website. Of course, it’s not just for hot dogs! 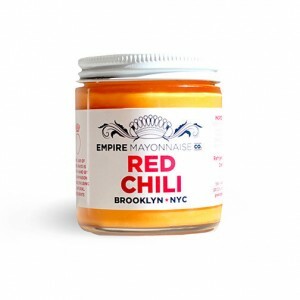 Try it on deli sandwiches and we bet it’ll become one of your favorite condiments! The first is a Hot Habanero Ketchup that’s not only a welcome twist to your burgers and fries but also really perks up a bland meatloaf recipe. Of course, we’re sure you can come up with more creative uses, but the point is, this is no ordinary ketchup – it pushed the boundaries! The other variety is Sweet Jalapeno Ketchup, and if you like the sweet & spicy combination like we do, you’ll love this … the sweetness of pure cane sugar is perfectly balanced with ripe tomatoes and zippy jalapenos. If you know someone who likes ketchup, click through and order them the Spicy Ketchup Two Pack! 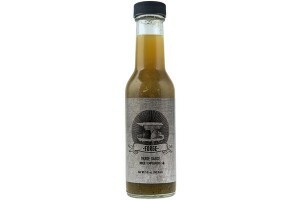 While you’re at their site, check out everything else Saucey Sauce is doing … Spicy Garlic, Fresh Lemon, Sweet Ginger, and Brown Sugar Ginger Glaze are among their other savory and versatile sauces. 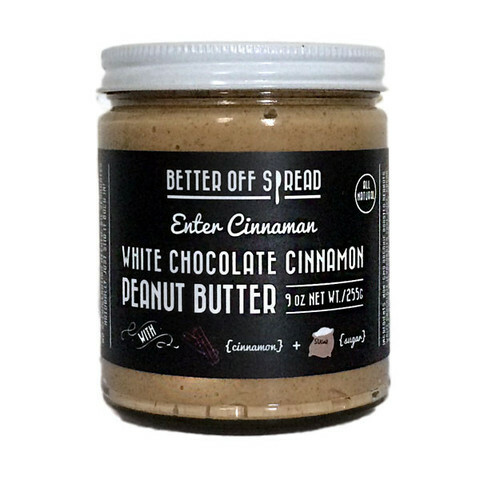 The company is Better Off Spread and their flagship products are gourmet nut butters offering flavor profiles that’ll get your creative juices flowing in the kitchen. The Ace of Spice jar we tried looks and spreads like a peanut butter but offers so much more! Sure, you can use it on two slices of fresh bread, but think outside the box – this stuff is perfect to mix into stir fry dishes, in wraps and burritos, or stirred into leftover spaghetti noodles for a quick Asian style treat. It offers the spiciness of ground organic Szechuan peppercorns, black sesame seeds, grond red chili peppers, and sea salt. 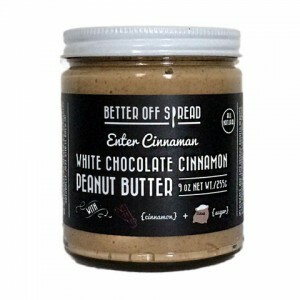 Unlike any nut butter you’ve ever tried! Ace of Spice is just one of many flavors the company offers, another being the White Chocolate Cinnamon Peanut Butter shown. They’re all available for purchase online at their website. 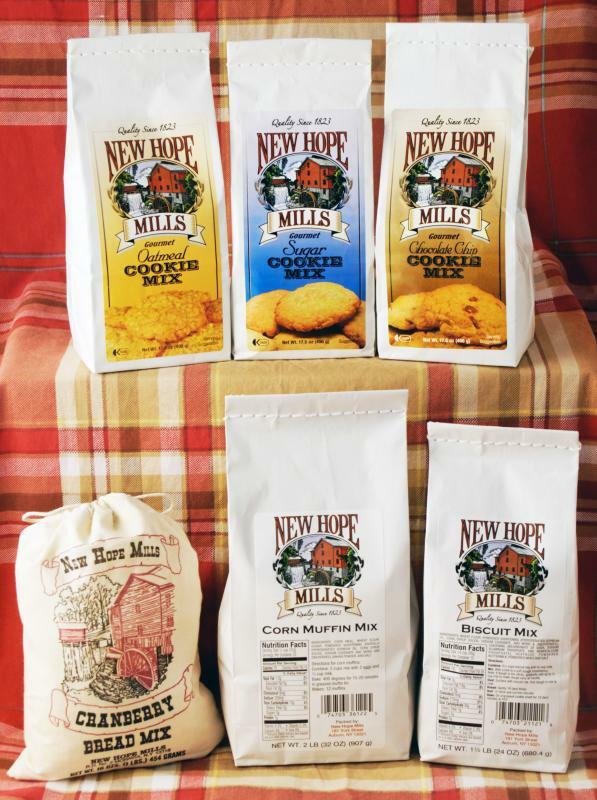 Their business is expanding distribution in many locations across the country (check the “Find Us” page for stores near you), and be sure to check out their combination packs so you can try more than one variety. An inventive company doing some wonderful and flavorful things! 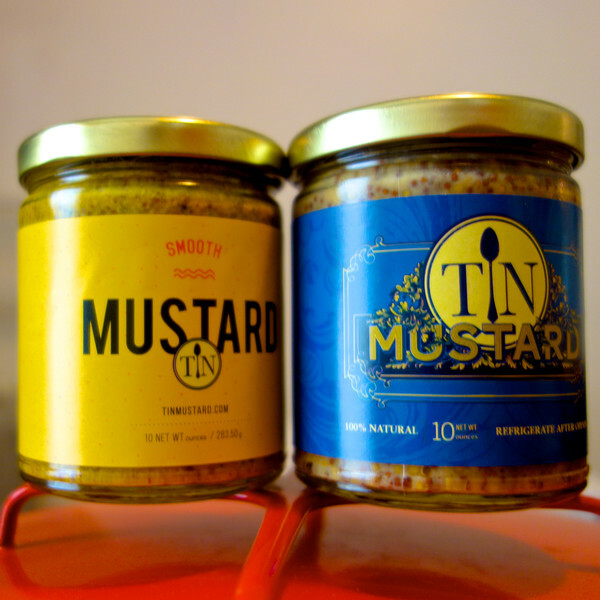 The company is called Tin Mustard and it’s owned and operated by a Slovenian born chef named Tin Dizdarevic. He originally developed a mustard to pair with a charcuterie platter he was serving and did he ever create a winning recipe! The original, Whole Grain, is a whole grain mustard without any of the bitterness or overly vinegar flavor some such mustards possess. This one features a creamy texture and the mustard seeds are whole, not ground. 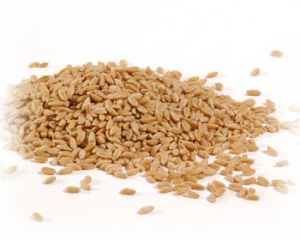 That means you get to experience the nifty little crunch of the seeds – it’s akin to enjoying a slice of really good whole grain bread that somehow offers a creamy dimension. If my description doesn’t make much sense, well, try it for yourself and you’ll see what I’m talking about! Tin Mustard also makes a smoother variety, introduced in Spring, 2014. Appropriately enough, it’s called Smooth and it offers the same great flavor. 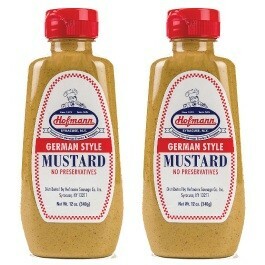 If you like a great mustard, all we can say is try this stuff. A friend brought us a jar of each (you can order at their website) and we were literally looking for things to put it on … it’s that good! Liberty United works with law enforcement staff in high crime communities to remove and recycle illegal firearms out of the streets. 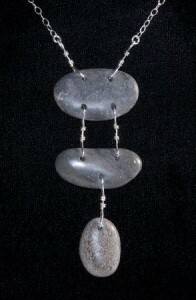 The recycled parts are crafted by talented artists to create bracelets, earrings, necklaces, rings, and more. Each finished piece is adorned with the serial number of the illegal firearm and proceeds are donated directly to anti gun violence programs in cities throughout the country. You can shop directly at their website and help unite against gun violence. 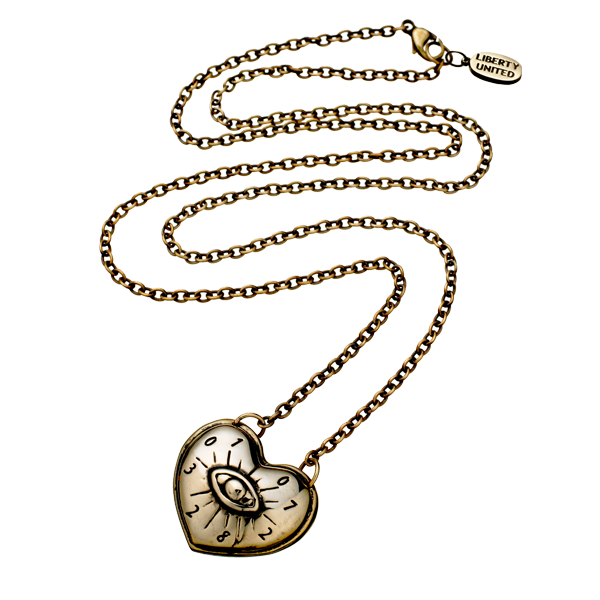 The designs of these items (like the pendant show) are extraordinary – an exquisite gift! This creative company uses organic flour and organic vegetables, fruit, and herbs to make flavored pastas that put store bought boxed pasta to shame. If you’ve never tried home made pasta before, you’ll be amazed at the difference – much more flavorful, less starchy, and a real joy to serve! 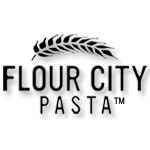 Flour City Pasta’s varieties include papardelle, fettucine, linguine, and flavored blends like their Pizza Blend, a unique mix of tomato basil, mushroom, garlic & oregano in a variety of shapes. You can order any of their pasta online and they also offer a few handsomely packaged gift boxes containing their pasta and locally produced oil and sauce. You prepare and serve top quality meals in your home – why not dress them up with top quality mayonnaise? 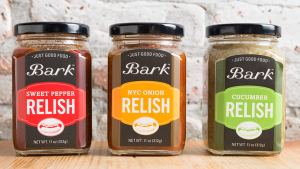 Learn more about this cool company and order a few jars for yourself or as a gift directly at their website … a great culinary gift from Brooklyn! 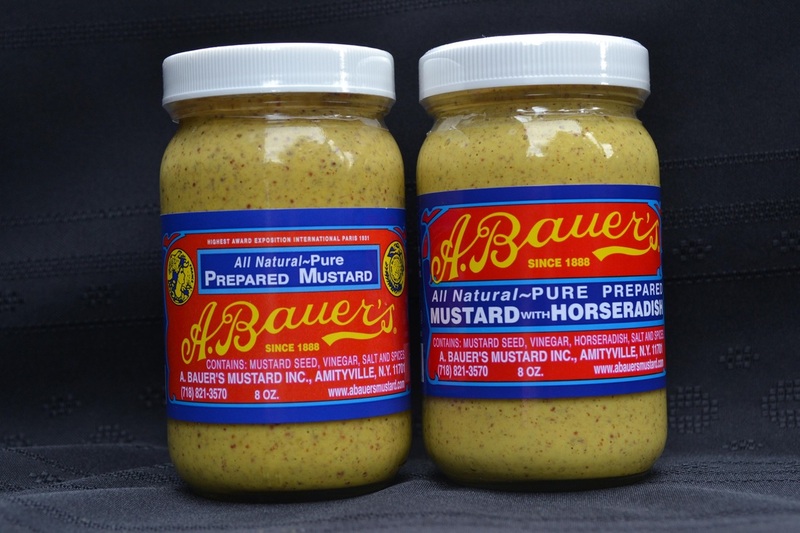 A true deli mustard, A. Bauer’s can stand up to any sandwich, sausage, or recipe. Slightly coarse ground, this hearty condiment has been pleasing New Yorkers for generations. The company has been family owned and operated and is now in the capable hands of August Bauer’s great great grandson Bart Druery. The company makes two types of mustard – their original prepared mustard and a variety with horseradish. 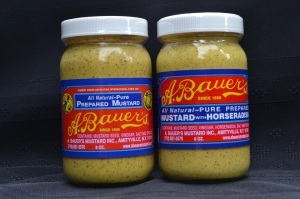 You can order either directly at the A. Bauer’s website in packs of six, twelve, or 24 jars. Go big, get the 24 pack, and turn your friends and family on to this wonderful mustard that’s been making people happy for over 125 years! These nut butters are made with hazelnuts, almonds, and cashews in addition to pecans. Another we’ve tried and really liked is the Chocolate Hazelnut flavor. You can order unsalted versions too! How about honey mustard pickles? Or Horseradish Pickles, affably described as the Kosher Dills’ loud yet lovable cousin? Horman’s Best makes ten varieties of pickles in all, some unique and some traditional, as well as hot cherry peppers and pickled tomatoes. Perhaps their most interesting variety is called Red Flannel, a sweet style pickle. Red peppers are mixed in with the brine to balance the sweetness and its name comes from the red and green appearance. Great on hamburgers and deli sandwiches! Why settle for grocery store pickles when you can get some of these? 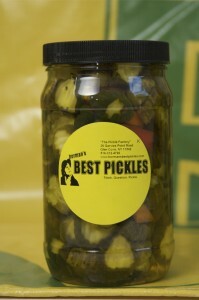 Stop by the Horman’s Best Pickles website to order something really good from Long Island! It’s not a burn-your-mouth hot sauce, but there’s plenty of zip – it’s made with habanero peppers, lime juice, Creole seasonings, carrots, onions, celery, and garlic. 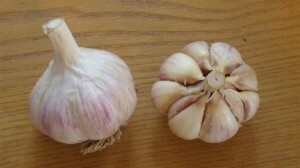 Use it on scrambled eggs, in tacos and other Mexican style dishes, in stews, soups, chili, and more. Add a dash to your tuna or chicken salad and give it a welcome jolt of flavor! 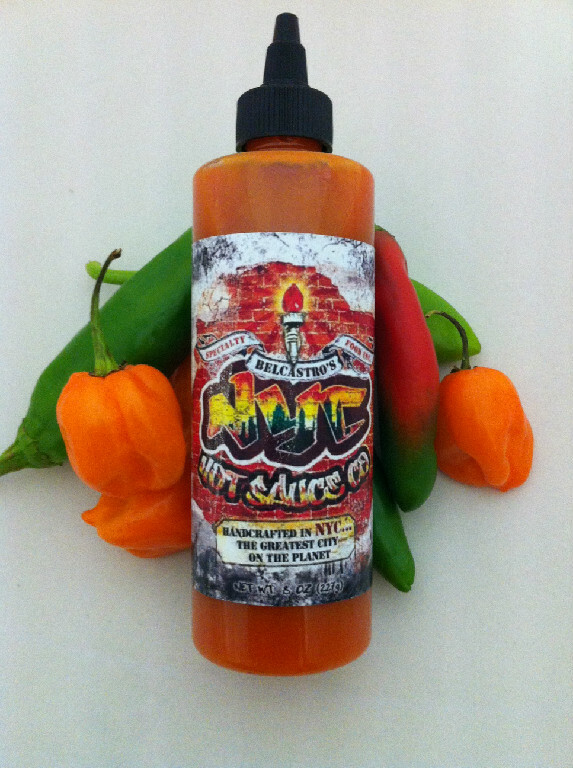 Buy it online at the NYC Hot Sauce website in single bottles, two packs, or cased of 8 ounce bottles. 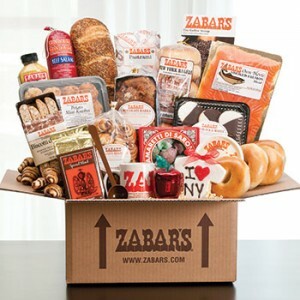 A convenient and tasty gift from The Big Apple! 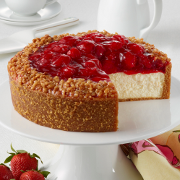 Junior’s Cheesecake is one of many “must do” stops when visiting New York City and Brooklyn. It truly evokes the history of the area and is adorned with all sorts of Brooklyn memorabilia. Enjoy a great meal, and save room for dessert! 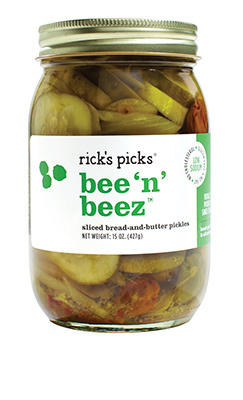 Rick’s Picks: Based out of New York City, Rick’s Picks is a pickle company founded in 2004 by owner Rick Field. 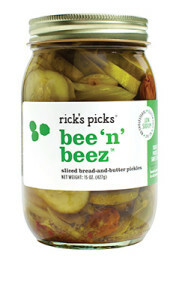 Rick grew up on a farm in Vermont and discovered a passion for pickling vegetables. Like many great success stories, his passion is now his business! If you enjoy trying different types of pickles, you’ll want to check out the many combination and gift packs offered at Rick’s site. One that caught our eye is the Bloody Mary Pack, which contains sriracha & habanero spiced pickles, spicy dill beans, and paprika smoked okra. What a great party gift! 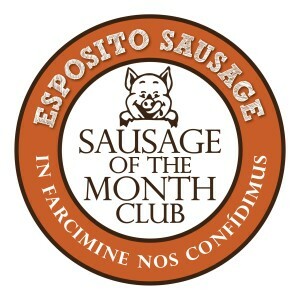 One of the wonderful gift ideas from Esposito’s is their Sausage of the Month Club. 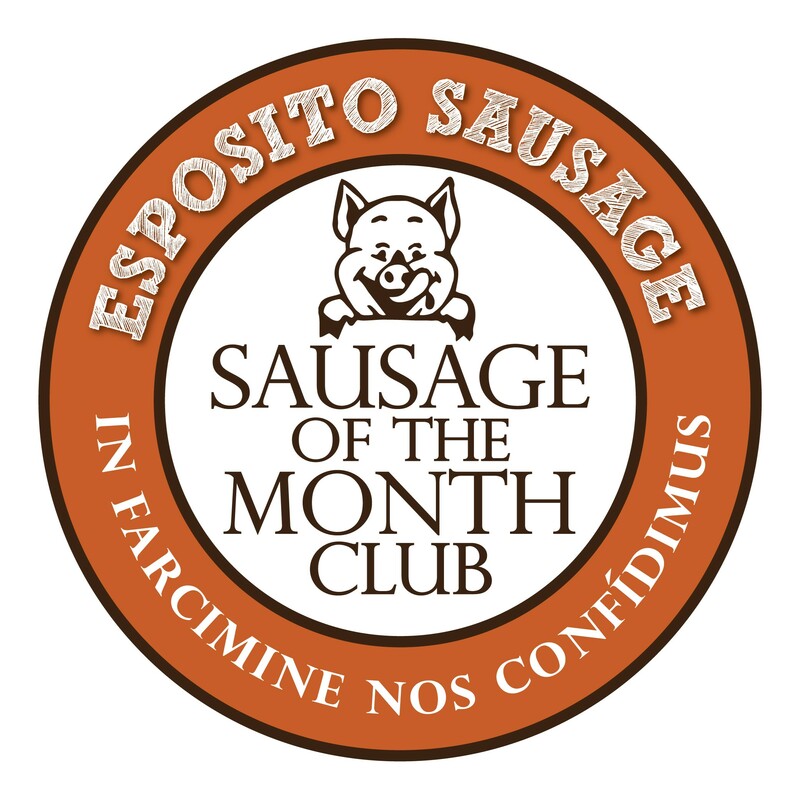 An ideal gift for business associates and friends, you can order this club for a specified amount of months and the recipient will receive different sausages in a shipment every month. Discounts are available for time periods exceeding three months. The result is Blue J Syrups, a line of fruit based cocktail syrups featuring locally sourced fruit and herbs. Mainly intended for use in beverages, they’re also a fine addition to cooking, baking, and even snow cones! 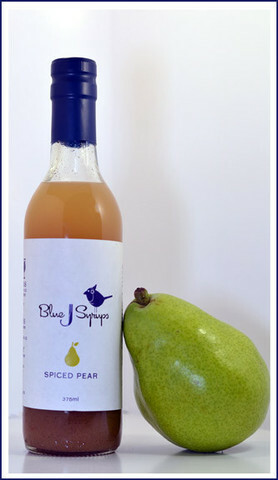 Four varieties are available at the Blue J Syrups website. They are Lime & Sage, Mango Hibiscus, Spiced Pear, and Earl Grey & Lavender. The latter is a combination of Earl Grey tea, organic lavender, and cane sugar. Use these syrups on a one to one ratio with spirits, or turn on your creative side to concoct a brand new libation of your own! If you’ve got a health conscious person on your gift list, or you want to eat healthier yourself without sacrificing taste, place an order with Spelt Right! The two sauces above are winners of the 2014 World Championship Golden Chile Award in their respective categories. 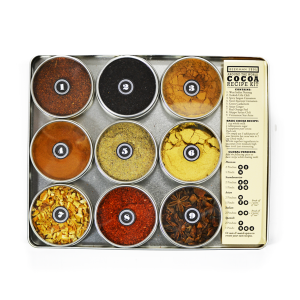 The company also makes a funky sauce called Foo Foo Mamma Choo, created with a blend of roasted peppers, ginger, garlic, herbs, and spices. A fourth limited edition sauce called Grapes of Wrath is a holiday style sauce – check the High River Sauces site for availability. You can buy these sauces individually or in six packs or 12 pack cases. 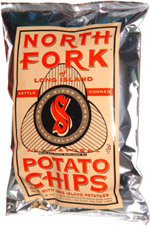 Order some for yourself and enjoy the rockin’ taste of New York! 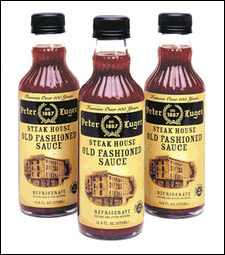 If you can’t get to Brooklyn any time soon, you can order Peter Luger’s Steak Sauce, as well as their legendary steaks, online at their Peter Luger gift shop. A gift box of their steaks includes bottles of sauce and makes a wonderful corporate gift. Here’s hoping you get to visit and enjoy a meal at the Peter Luger Steak House! They even have an auto ship program where you’ll receive their famous bagels and store roast coffee shipped to you at regular intervals! Winetini: We love companies who use recycling as the basis of their business. More and more companies are taking unused and unwanted items which would otherwise end up in a landfill and recycling them into useful, decorative, and eye catching items. The company also makes candles, party lights, night lights, and salt and pepper shakers using the same process. Their motto is “Saving The Earth One Drink At A Time” … cheers to that idea! Amagansett Sea Salt: Sea salt is a finishing salt which allows you to use less salt when cooking your food … sea salt is more natural and concentrated and it allows you to simply sprinkle it on your food after it has been prepared. 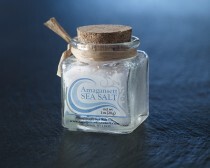 You can buy this wonderful sea salt and sea salt blends directly from the Amagansett website. They also sell gift packs and even have a Sea Salt of the Month Club … a perfect gift for your “salty” friends and family! 1). Did you know New York City has over 720 miles of subway tracks? 8). Seneca Lake, part of the Finger Lakes chain, is the deepest lake in the state. It bottoms out at 618 feet deep. Beekman 1802 Mercantile has an engaging website with all sorts of interesting goods, with great ideas for perfect gifts or just for yourself! Anchor Bar: If you’re ever in the Niagara Falls area, we really encourage you to explore Buffalo. It’s only 20 minutes or so from downtown Buffalo to the Falls, and the city is a convenient place to stay. Buffalo has several attractions of its own … and it’s a great restaurant town! The chicken wings at the Anchor Bar are every bit as good as advertised (we actually think they’re better than advertised!). We enjoyed a wonderful meal here of wings and a beef on weck sandwich, washed down with another western New York specialty, Genesee Cream Ale on draught. If there’s such a thing as Buffalo Bliss … that was it! 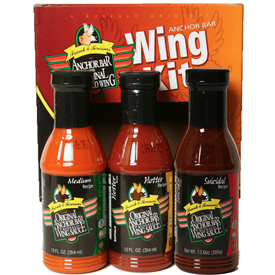 If you’ve got a taste for arguably the best chicken wings in America, you can order wings directly from the Anchor Bar along with any of their sauces. The sauces aren’t only used for chicken wings … we use them with tacos and other foods that taste better with a little kick! Sponge Candy … It’s A Buffalo Thing! 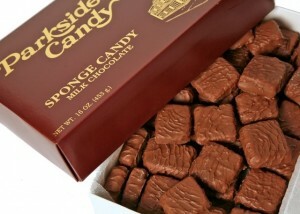 Sponge candy has an outer coating of chocolate, typically milk chocolate. The candy’s center is what makes it unique, though. While it’s difficult to describe, the center is kind of a molasses flavored nougat that’s slightly crispy and crunchy at first, and then literally melts in your mouth. The candy got its name because the center nougat has little tiny holes in it … like a sponge! We’ve only seen sponge candy in western New York and Erie, Pennsylvania. There are probably more areas where you can find it, but we loved the fresh sponge candy at Parkside from their Main Street store. 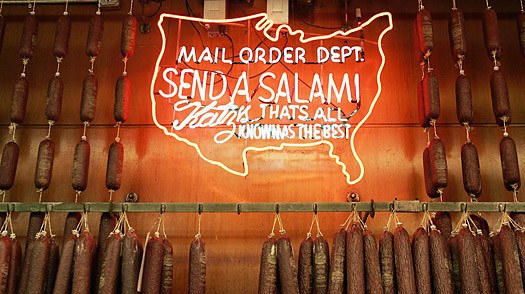 Order it by the pound for a real taste of western New York! Crystal Beach Loganberry Soda: We’d never heard of loganberry soda before our visit to Buffalo. We discovered it during a visit to one of city’s many legendary hot dog places … Louie’s in Elmwood Village. Anxious to try some of the local traditions, we ordered a loganberry soda, which is simply referred to as a loganberry. The best way to describe it is a delicious cross between ripe juicy blackberries and raspberries … and it went surprisingly well with hot dogs! 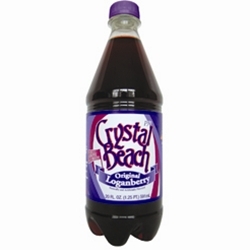 The most popular brand of loganberry soda seems to be PJ’s Crystal Beach, whose website we’ve linked to above. We’ve not seen loganberry soda elsewhere in the country, so order some online for yourself or as part of a Buffalo themed gift! We love visiting different cities and sampling their local specialties … and we love bringing them to your attention here at StateGiftsUSA.com … after all, why not let everyone in on the fun?? 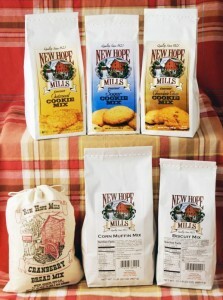 You can order all of these wonderful products online as a taste of Buffalo. What a terrific gift to introduce someone to the city, or just to enjoy yourself! Being from Chicago, we never put ketchup on hot dogs. Ever. But in Rochester, they use hot dog sauce as a condiment, so on a recent visit to the city we decided to lean on the old saying, “When in Rome, do as the Romans do …”. We don’t use Zweigle’s Hot Dog Sauce on hot dogs … but love it on hamburgers … shhh don’t tell! 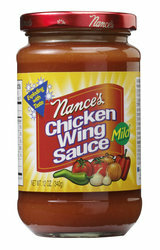 Nance’s Wing Sauce and Mustards: Another great product coming out of Rochester is Nance’s Wing Sauce. 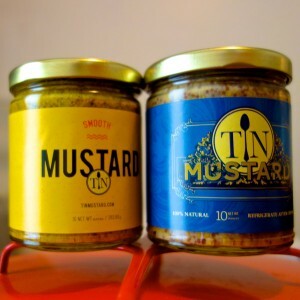 They also make a line of mustards, both of which you can order online at this site. The wing sauce comes in a few different heat levels … we like the mild variety because we don’t fry chicken wings at home but we do make a lot of different chicken dishes. Order some online and try it for yourself! 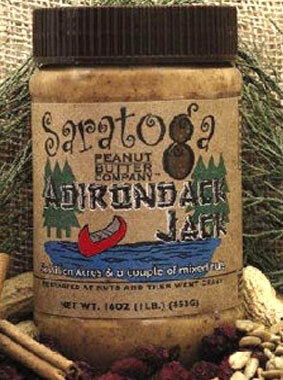 This take on peanut butter made by the Saratoga Peanut Butter Company is outrageously good. It’s a combination of almond butter which is blended with Saratoga’s plain peanut butter. But that’s not all … added to the mix are red cranberries, flax seeds, sunflower seeds for crunch, a bit of pure clover honey and a dash of cinnamon. If that sounds really good, it’s because it is! If you’ve got a peanut butter fan on your gift list, this will make them smile! 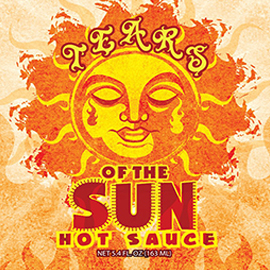 Joey’s Pasta Sauce: Moving east from Rochester is Syracuse, a city located just north of the famed Finger Lakes region. 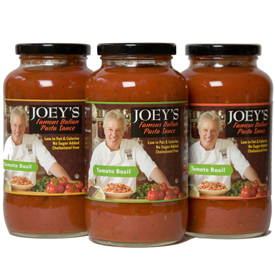 One of our favorites is Joey’s Pasta Sauce, which emanates from a well known area restaurant of the same name. It’s not available directly from the restaurant website, but we located a good online source for Joey’s Pasta Sauce and other Syracuse favorites. Browse the site and see all the goodies Syracuse has to offer! 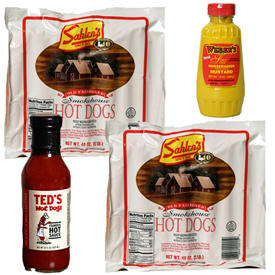 The Hofmann’s online store offers individual products and gift packs with hot dogs, sausages, and mustard … everything you need for a tailgate! The butter crunch is created by cooking butter crunch in a copper kettle and then poured over a giant marble slab. Chocolate is poured on top, along with fresh roasted crushed almonds. It contains no corn syrup and has a nice snap; thin enough to offer a crunch and not too thick to break your teeth! New York State Fair Spiedie Sauce: So what’s a spiedie, you might ask? 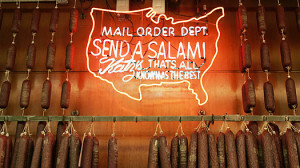 Now, spiedies are made with any kind of meat and not just lamb. Basically, whatever meat you prefer. The meat is usually marinated for 24 hours in Spiedie Sauce, which helps flavor and tenderize the meat, and then cooked over a grill, or spit. This is another New York tradition you really don’t see anywhere else. 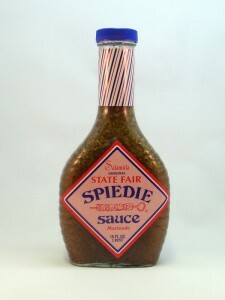 There are several different brands of spiedie sauce you can buy, but the most famous is New York State Fair Spiedie Sauce, pictured here. It’s a unique flavor that’s really New York! 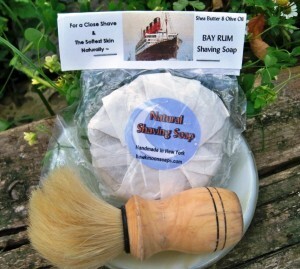 The soap actually lasts a lot longer than traditional shaving foams or gels, and it’s more eco friendly as well. 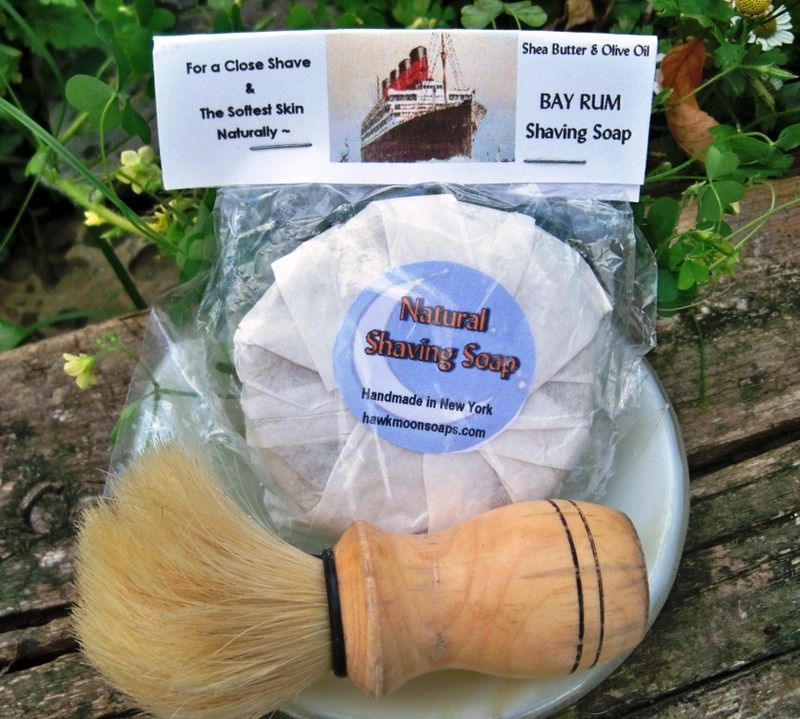 Check out the Hawk Moon Soaps website to see all the different soaps they create … there’s even one for dogs! 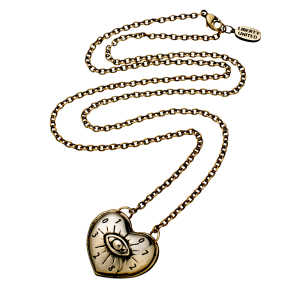 These jewelry pieces are hand crafted one at a time and sold in very limited quantities … a wonderful gift from The Empire State!